It is no secret that the Dallas Cowboys offense failed in 2017. As much as these struggles were about who wasn't on the field for the Cowboys, the talent still out there could rarely do enough to win games. With an elite offensive line, young quarterback, and Dez Bryant on the outside, this was unacceptable and prompted changes in Dallas. The biggest move the Cowboys made prior to the 2018 NFL Draft was moving on from Dez Bryant. The 29-year old wide receiver remains unsigned, as the Cowboys were comfortable entering the draft with a glaring need at the position. Still waiting until the third round to add Colorado State's Michael Gallup, the Cowboys later drafted Cedrick Wilson and Tight End Dalton Schultz. 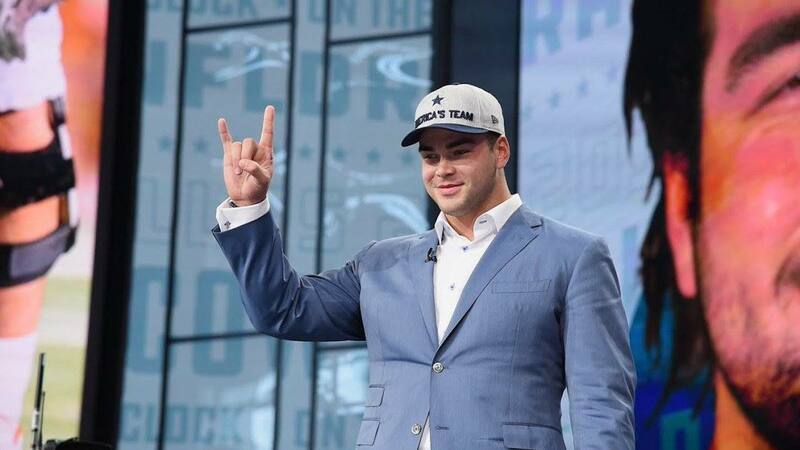 Filling their biggest needs with great value on these picks, the Cowboys also found their left guard of the future in Connor Williams at 50th overall. Add in developmental Quarterback Mike White and Running Back Bo Scarbrough and the Cowboys have an intriguing rookie class on offense - full of players that will absolutely need to step in right away, and some that are here to provide depth. As I did with the Cowboys defense earlier in the week, here is my best projection on the roles the Cowboys draft picks on Scott Linehan's side of the ball will play. Scouting Report: "Film Room: OL Connor Williams Is Cowboys Final Piece To Great Run Game"
This was the Dallas Cowboys best pick of the 2018 NFL Draft. Keeping Texas Longhorns prospect Connor Williams close to home, ending his draft-week slide at 50th overall to a roar at AT&T Stadium, is more than just a feel good story. 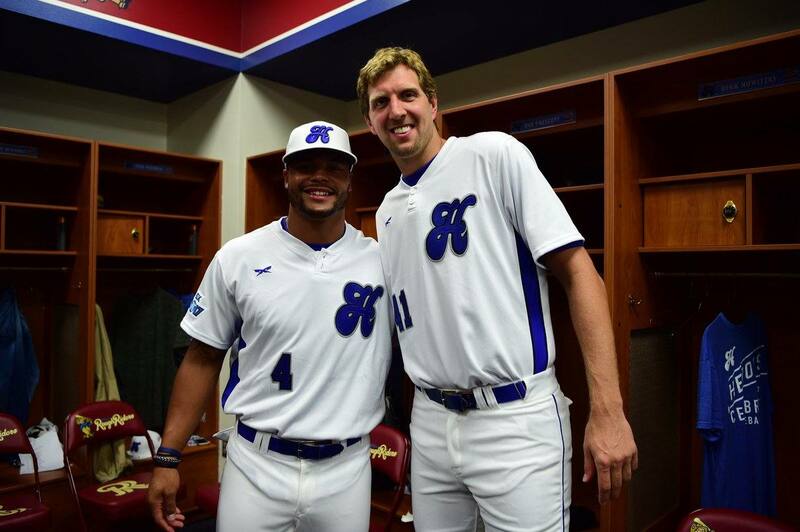 This is a player that fills the Cowboys need for a long-term starter at left guard perfectly. Considered one of the best tackles in the nation prior to injury, Williams will of course benefit from playing between Tyron Smith and Travis Frederick. Bringing his own trademark toughness and athleticism to a new interior position will give the Cowboys arguably their best offensive line since 2014. Ezekiel Elliott has to be a fan of the Connor Williams pick already - as you should be too. Although the Cowboys did add veteran depth at OT this offseason, Williams is of course another emergency option on the roster to kick outside and handle himself at any position but center. Connor Williams will be a noticeably fun player at LG, creating movement through to the second level on a consistent basis. Scouting Report: "Film Room: WR Michael Gallup Provides Excellent Value In 3rd Round"
Predictions for what first-year Wide Receiver Michael Gallup will have in store for his rookie season in Dallas have been all over the place. While most are understandably skeptical of the Cowboys "relying" on a third round draft pick to become a force in the passing game, Gallup is a high upside player that fits the Cowboys new approach on offense. Phasing out the need for a true number one receiver, Gallup is the Cowboys newest "Dak-friendly" asset. Perhaps playing under the radar too much at Colorado State, Gallup has all of the traits needed to explode onto the scene in 2018. A lengthy athlete with effortless vertical ability and soft hands, Gallup will have no problem separating as a big target on the outside for Prescott. Because of this, I expect him to be the closest thing the Cowboys have to a "WR1" this season - lining up primarily at the X position and putting up numbers better than some of the eight receivers drafted before him. 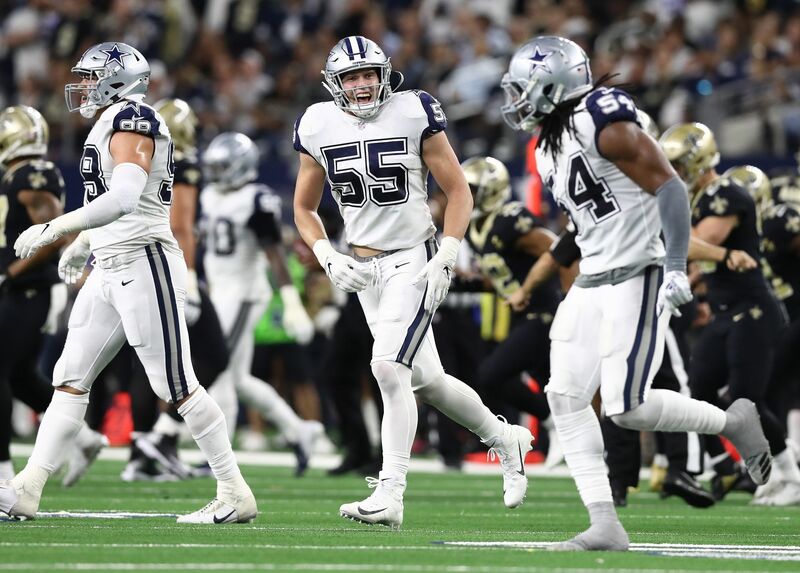 Scouting Report: "Sean's Scout: TE Dalton Schultz Fits Cowboys Need as Willing Blocker"
The Cowboys have a Jason Witten sized hole to fill inside The Star at Frisco. While just how much on-field production this constitutes is up for debate, the reality is that no player will mean as much to the Cowboys as Witten did for so long anytime soon. Especially fourth round pick Dalton Schultz, drafted the day after Witten announced his retirement from the NFL. If given a chance to make a name for himself though, the Stanford tight end may rarely come off the field for the Cowboys. Joining Geoff Swaim and Blake Jarwin on the roster - two experienced run blockers that are developing as pass catchers - Schultz has plenty of experience playing in Stanford's pro style offense. Not the most overwhelming blocker, Schultz understands how to control bigger defenders at the line of scrimmage - never shying away from a chance to show his dominance and finish blocks to the ground. Limited as a route runner and true receiver, Schultz is going to be eased into the Cowboys offense, but will have plenty of opportunities to stand out this summer in training camp and carve out a role in 12 or 13 personnel packages. 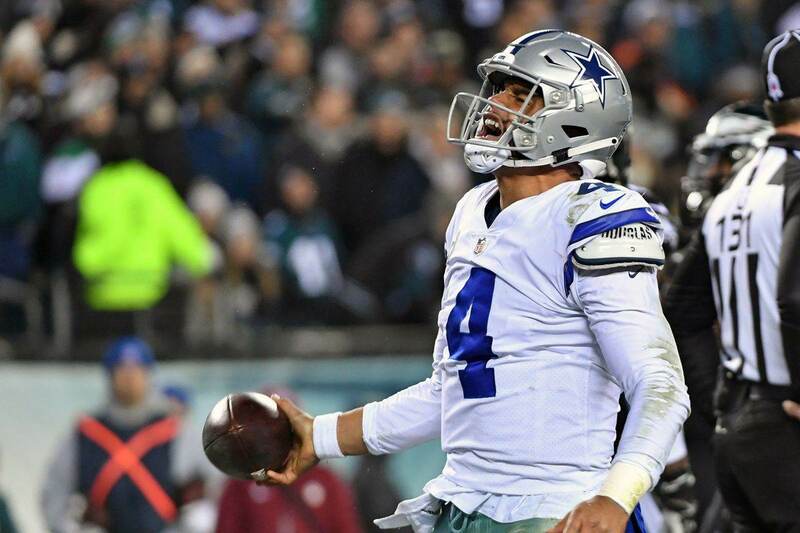 Scouting Report: "Sean's Scout: QB Mike White Brings Athleticism, Accuracy to Dallas Cowboys"
It's refreshing for the Cowboys to have a young quarterback that has stayed remarkably healthy through his first two seasons, as Dak Prescott will have no competition for the starting job in 2018. The real competition at quarterback will be directly behind him. With Kellen Moore trading in his helmet for a coaching hat, second-year Quarterback Cooper Rush will be joined by fifth round pick Mike White. A touch thrower with pro-ready size and plenty of workable traits, White was one of the better late-round candidates the Cowboys could have added to their QB room. Taking 2018 to soak in as much as he can about Scott Linehan's offense, it truly doesn't matter much if Mike White is QB2 or QB3 this season. If he was worth the 171st overall pick, the Cowboys believe in his potential, and will work to push him as far as he can go up the depth chart this offseason. Scouting Report: "Sean's Scout: WR Cedrick Wilson the Missing Vertical Threat for Cowboys Offense"
In 2017, the Cowboys entered the draft with a promise to restock their depleted secondary - doing so by drafting starting cornerbacks Chidobe Awuzie and Jourdan Lewis in the second and third rounds. This year, the wide receiver position felt the same way. Although the Cowboys waited until the sixth round to add their second rookie at WR, Cedrick Wilson is absolutely a player that can make an impact this year and outplay this draft status. By trading Ryan Switzer at the draft, the Cowboys showed some faith in slot receiver Cole Beasley. Likely not coming off the field much this season, Wilson will have a hard time earning reps on the inside, where he menaces defenders with his length and long speed. These are still traits that Cedrick Wilson uses to win on the outside, where every receiver the Cowboys have is going to get a chance. Talented pass catchers are not going to make the final cut on the Cowboys roster, but Cedrick Wilson is one that will earn his spot all summer long. Look for him to standout in the preseason regardless of who's throwing Wilson the ball, forcing the Cowboys to rotate him into their versatile offense for Prescott to have another big target out wide. Scouting Report: "Film Review: What Bo Scarbrough Brings to the Cowboys Running Game"
Bo Scarbrough has generated plenty of buzz from Cowboys Nation, and mostly because his name is Bo Scarbrough. A recognizable name out of Alabama, Scarbrough became the Cowboys last pick of the 2018 NFL Draft at 236th overall. For as much as we've discussed the decisions the Cowboys will have to make elsewhere on offense, their faith rests in starter Ezekiel Elliott. Behind Elliott, the Cowboys have a completely new stable of running backs though. Tavon Austin was acquired during the draft by the Cowboys to fill the void once left (?) by Lance Dunbar, and at least for now it seems like Dallas has big plans for Tavon on offense. Working both Elliott and Austin onto the field won't be a problem for Linehan, but including Rod Smith and Bo Scarbrough very well might be. With Smith firmly holding his roster spot because of special teams contributions, Scarbrough will have to follow in similar footsteps to secure his spot on America's Team. The idea of the Cowboys keeping a bruising back like Scarbrough to help them finish games is a fun one, but it doesn't feel practical when crunching the roster numbers. If Scarbrough does make the cut however, he can absolutely spell Elliott in short yardage and goal line situations, running with consistent power and better-than-expected vision. The Cowboys have way too much invested into their offense to see it sputter like it did a year ago. Instilling optimism with the injured players they'll welcome back, the Cowboys were not complacent in adding talent at the draft either. While Connor Williams and Michael Gallup may be the only true "starters" the Cowboys found, I expect both rookies to excel. Contributions from Dalton Schultz and Cedrick Wilson could put this offensive draft class over the top - prepared nicely for the long run while featuring five players with high enough floors to play this season. Tell us what you think about "Cowboys Offense: Finding Roles for 2018 NFL Draft Picks" in the comments below. You can also email me at Sean.Martin@InsideTheStar.com, or Tweet to me at @SeanMartinNFL!